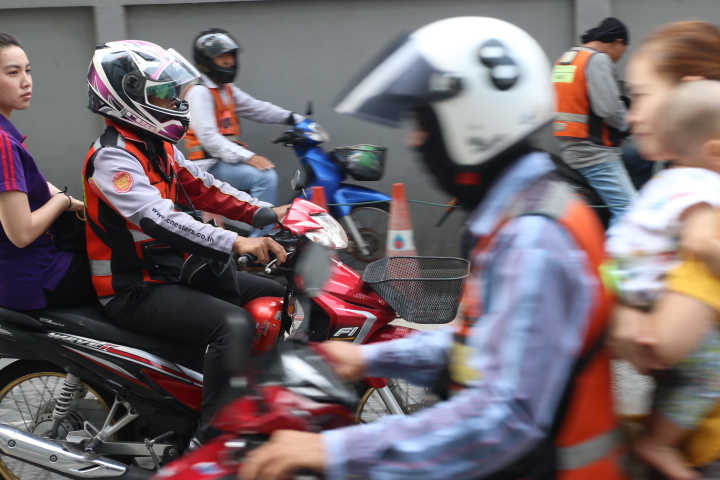 My latest article with Laure Siegel in the Nikkei Asian Review looks at how women enter the motorcycle taxi workforce in Bangkok, a traditionally male bastion. With fewer and fewer job opportunities for unskilled Thai women, riding a motorcycle taxi remains one profession that promises a degree of independence and freedom. Read Bangkok’s ‘motorcycle mamas’ roar into men’s world here.